by Cheryl A. Martin, M.A. Woman Reclining explores many facets of life that we experience every day. The poems inside cover topics that all of us can relate to whether it's the love we share towards one another, or the compassion towards an animal companion. My poetry teaches human values, whether I write about war or the spirituality that guides me and others each and every day. As an artist I study my art and write about it, and I write about art created by others. I find that expressing myself as a poet when I write about their work deeply challenges me, and pushes me to work hard to write compelling literature. For example, one of my award winning pieces, "Woman Reclining" was inspired by Donna Jackson's art through Artists Among Us 2005. She and numerous other artists enabled me to craft many poems about the human condition. I began my poetic journey as a high-school sophomore in New Milford High School in Connecticut many years ago. I find that writing defines my life and poetry gives me the ability to write creatively. I encourage you to read my book of poetry and find a piece of yourself in Woman Reclining. Writing My Book of Poetry is available on Amazon.com's shorts page. This non-fiction essay provides you, the reader with insightful information regarding the poetry that I included in my book of poetry, "Woman Reclining". My poem , "More than 58,000 Names Etched", has won Honorable Mention in the Non-rhyming Poem category of the 76th Annual Writer's Digest Writing Competition! I received my notification on October 21, 2007! I won 12th place out of 100 winners! On April 26th, I won the HVCA Poetry for, "Joseph" through the Village Fine Arts Association,'s 2008 PAN Poetry art Night. My art, "Joseph" was displayed with my poem. On June 11th I learned that my fine art photography piece, "Charlestown Gull" won the Bronze Medal through the 2008 National Veterans Creative Arts Competition. Feel free to stop by the Brighton Borders, Monroe Waldenbooks, Borders Express stores in Westland, and Southgate to purchase a copy of "Woman Reclining". You can also order it directly from any Borders Book Store! Tracy's Used Books in Deckervile, Michigan carries copies of my book. On October 9th 2008 I was notified that I won an honorable mention for a ghost story I wrote for the Lowell Council For The Arts in 2008! My books are available at the Borders Express in Southgate! Copies of "Woman Reclining" are available at the Barnes & Noble in Flint. Stop by to pick up your copy today! Books are available at the Westland Borders Express. All of my books, including, "Haiku For You: With Some One Room School House History," are available here, and, "The Cornstalks Are Whispering." "Cheryl's Musings: A Day In The Life Of An Award Winning Poet & Photographer is available in the stores mentioned here. The Borders Express in Southgate, Michigan carries, "Woman Reclining", "Haiku For You: With Some One Room School House History,", and Cheryl's Musings: A Day In The Life of An Award Winning Poet & Photographer". "Woman Reclining" can be ordered right here on my website as either an e-book, or printed one! August 2010 Events: August 7th, Waldenbooks in Monroe, 12pm, August 21st Brighton Borders, 2pm., August 28th Westland Borders Express at 1:00pm. See you soon! She struggles to gain the inner strength to move forward, and engage in her life fully, she's almost there, but always is held back with too much responsibility. A New Englander by birth and in spirit, Cheryl A. Martin, M.A., is a published and award winning poet, journalist, photographer, educator and children's author. Her photos have enhanced her feature stories. 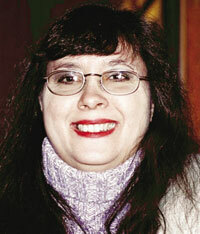 Her technical writing and photos have appeared in the national trade journal The News, a HVACR publication. Her extensive publication history includes The Detroit Free Press, The Observer and Eccentric Newspapers, and literary publications. Her passions are the ocean, cats and her husband.